Easy-to-use guide for removing common spots and spills from all types of carpet and rugs. This unique guide for carpet owners, carpet retailers, housekeepers and facilities managers provides clear and expert advice from an independent and trusted source. Step by step solutions to common carpet stain problems. Select from dozens of stains. Swipe side to side to follow the simple advice steps. Complete listing of all cleaning products certified as safe for use on synthetic and wool fibre carpets and rugs. 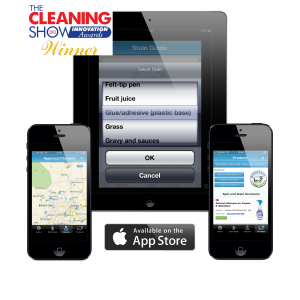 ‘Buy Now’ button for safe and effective cleaning products. Map of WoolSafe Approved professional carpet cleaner locations nearest to App user. Contact details with one-touch call, email or web visit to WoolSafe Approved Service Providers you can trust.